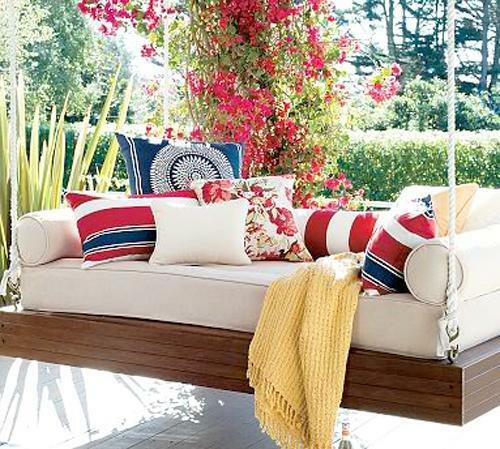 Hanging beds add playful designs summer fun and enhance your beautiful backyard landscaping or garden design with a wonderful daybed to relax. 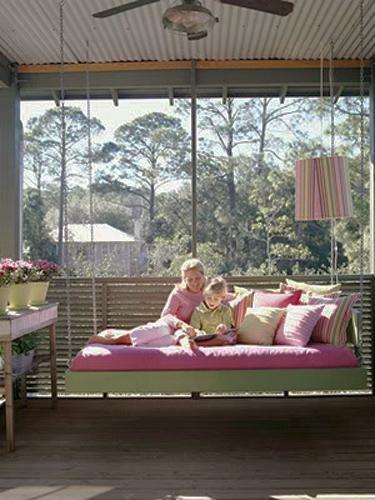 Hanging beds are outdoor toys and furniture pieces that kids and adults love to use in summer. 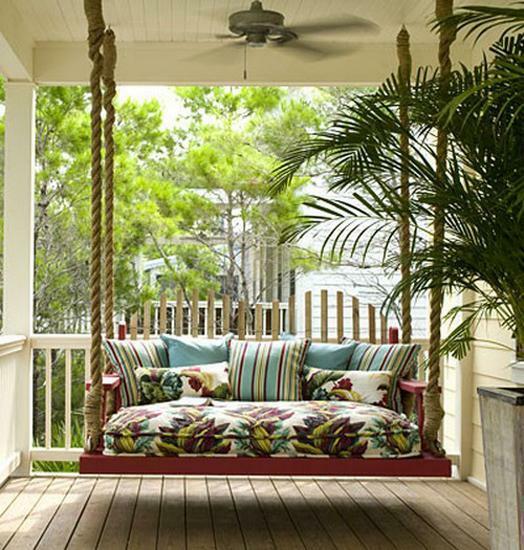 There are many things you can add your outdoor home decor and make your porch, backyard or garden designs comfortable, but nothing enhanced the playful summer mood like swings, hammocks, hanging beds and suspended chairs. 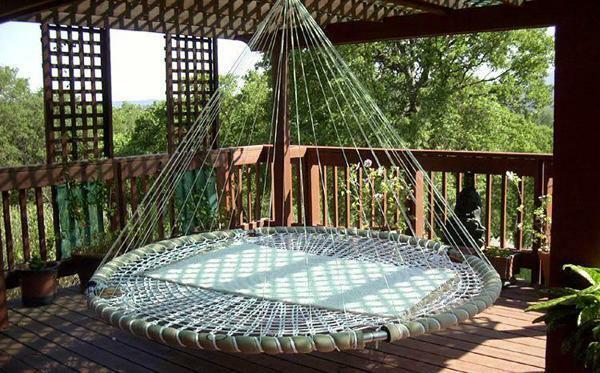 A hanging bed adds a swing, a daybed and a hammock to your backyard landscaping at the same time and make your outdoor living spaces more enjoyable. 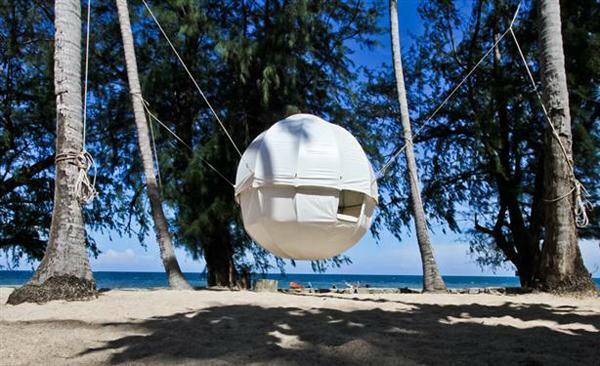 A hanging bed is a fabulous daybed, providing a convenient, functional and inviting place to rest while being suspended in the air. 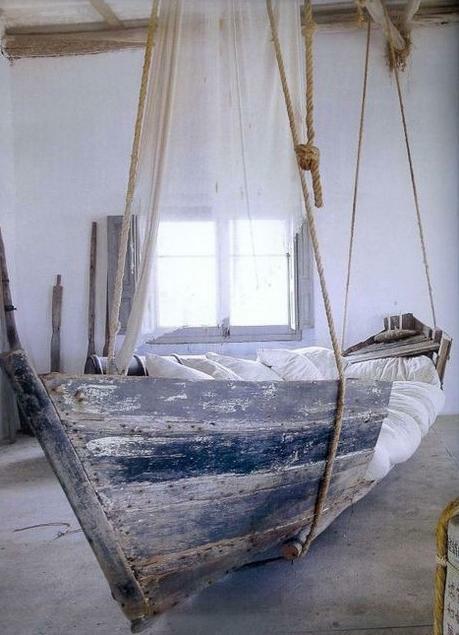 There are hanging beds on the market ready to be hung, but building your own hanging bed is a thrilling experience. 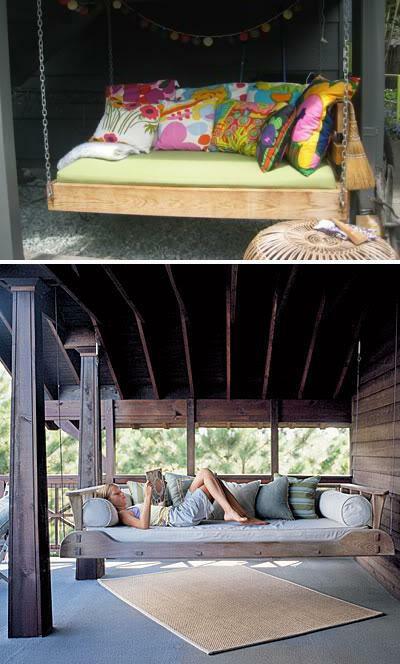 Building a hanging bed is inexpensive, quick and not too difficult. 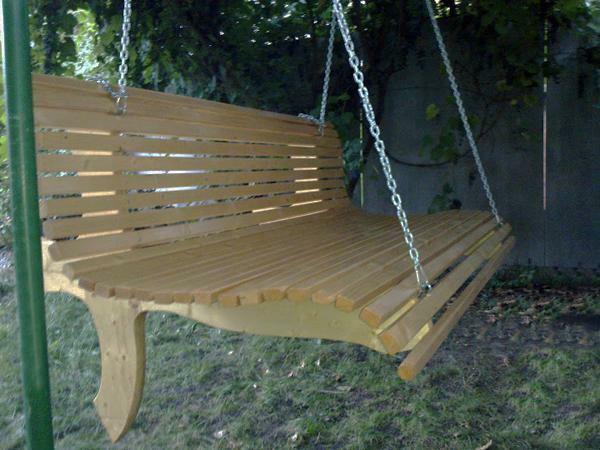 You can use reclaimed wood, recycle and reuse wooden materials that you have at home or convert an existing single bed into a hanging bed and add an impressive, functional and very charming centerpiece to your beautiful porch, backyard or garden designs. 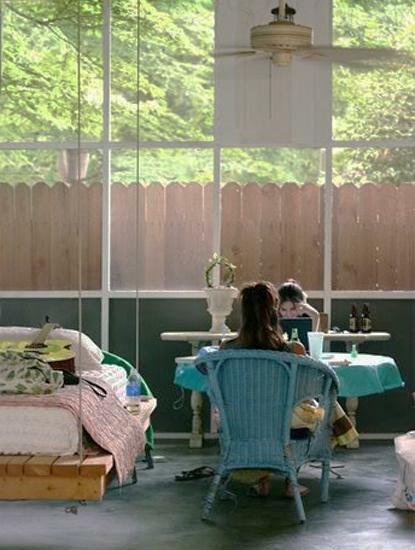 Measure your mattress and the bed board, or build the wooden board to match the mattress, leaving a few inches over on each side for hanging the bed. The bed board should be solid and strong. Four holes at each corner of the board will be used for hanging a bed. 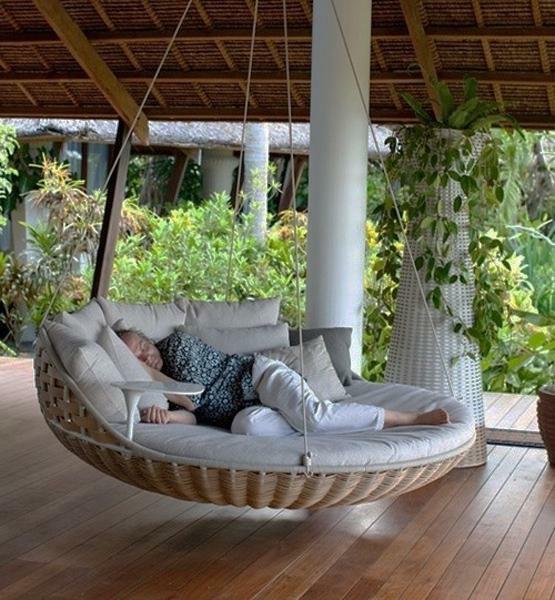 A few yards of a very strong rope which is resilient and strong enough to withstand the wear and support an outdoor hanging bed. 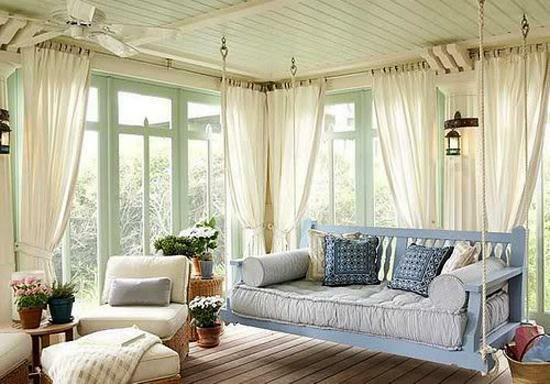 You can hang the bed from a tree porch or gazebo ceiling. All you need is to make large and tough knots to hang your bed and enjoy this wonderful summer decorating item. 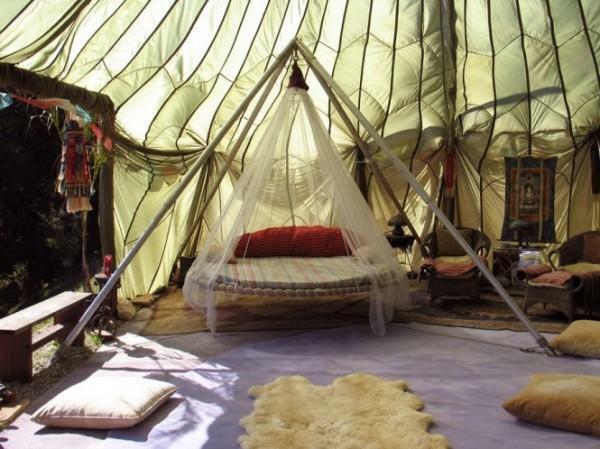 To hang a bed from the ceiling you need four hooks. 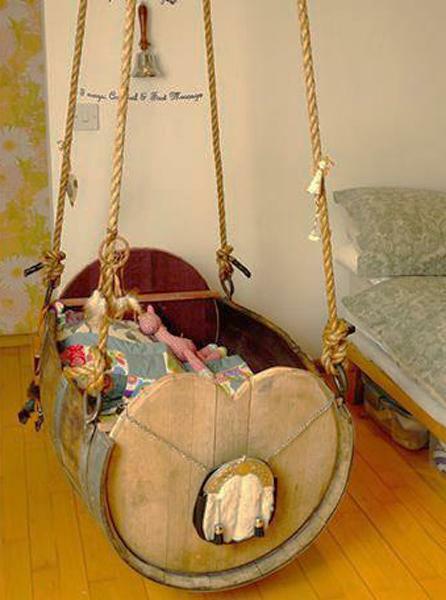 The structure of the hanging bed board, rope and hooks should be extra strong if you have kids living in your home or visiting your house. 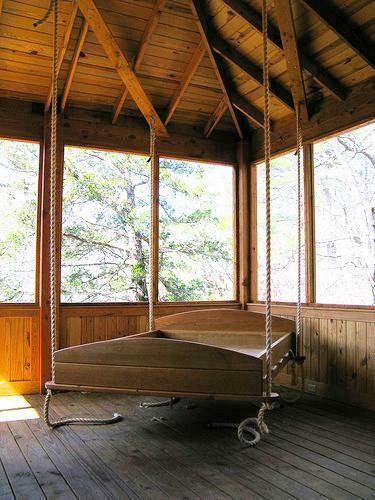 When planning the spot for your hanging bed make sure it will have enough space to swing. 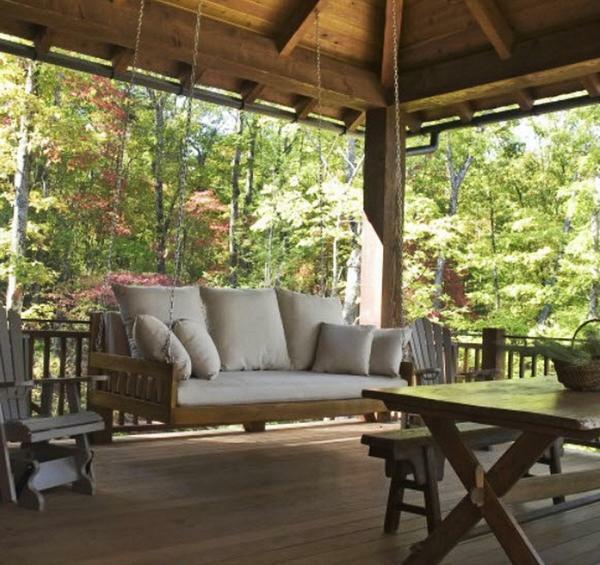 A hanging bed is more than outdoor furniture pieces. 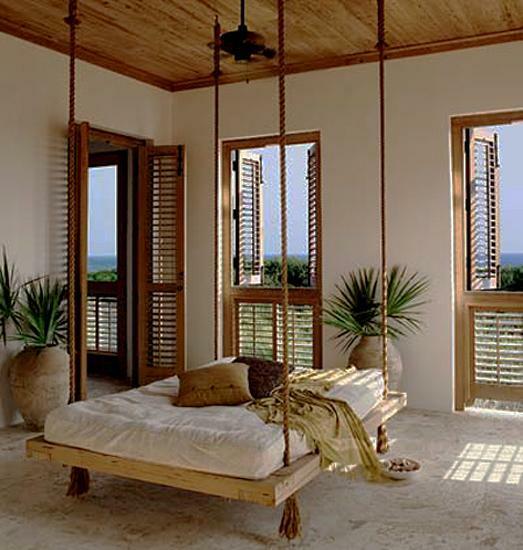 A hanging bed is a toy, a stunning accent for creating luxurious environment and fantastic porch, backyard and garden designs. 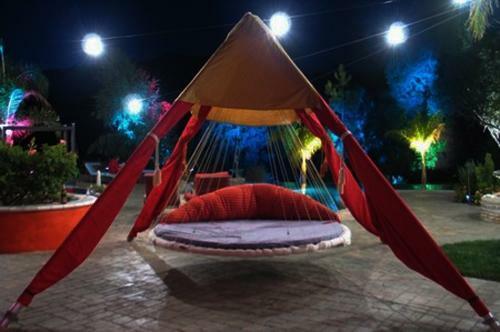 A hanging bed is attractive and comfortable, a unique object that transforms your backyard landscaping with an unusual look and playful mood.